Every other week, two people at Reward Gateway are randomly paired together through Donut Time. During this scheduled, informal, 30-minute chat, people get to know one another. The Donut bot sends friendly reminders to make sure people have set their meeting and had a chance to talk. You can even set your company’s cadence and allow people to opt in and out of the Slack channel. 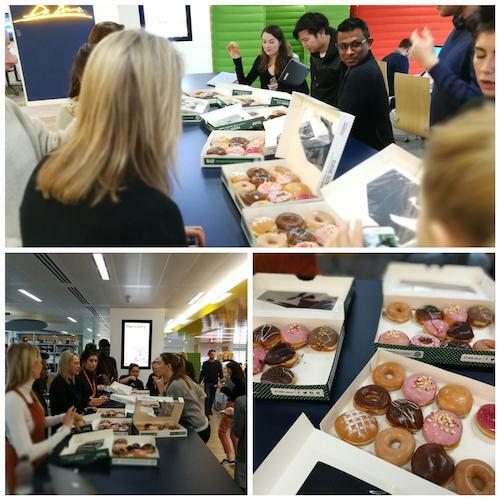 We’ve used Donut time to improve company culture, bring together a global workforce and foster network building and knowledge sharing. Let’s dive deeper into what these actually mean. 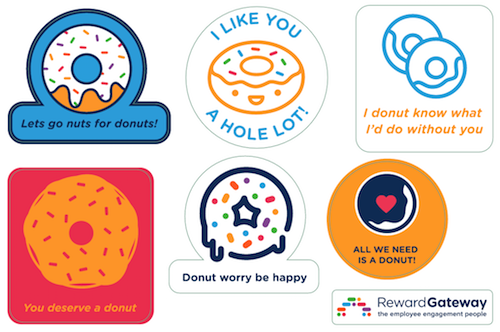 Not only did the Culture Team supply each global office with freshly baked donuts the day of launch, but they created donut stickers and donut eCards (tying into employee recognition). Employees were able to grab a delicious donut, learn more about Donut Time, grab some swag and opt into the program that day. Then, we were told we would get our first match the next week, which help add to the anticipation and excitement. Donut Time supports our values Think Global and Be Human. I’m able to take a step back from my day-to-day and understand what things are like for other people in the business around the globe and how my day-to-day affects other offices and departments in the business. 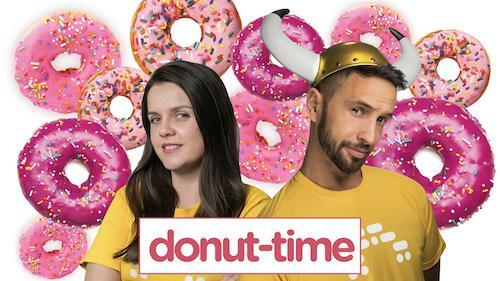 Donut Time helps us gain the perspective needed to understand what our colleagues are up to and their challenges, and has helped form some pretty great connections. You never know how much you have in common with someone until you take thirty minutes out of your day to grab a coffee, share a donut and spark up a conversation – whether it’s about a new work project or about traveling to Paris (you’ll never believe how many tips I got before I hopped on the plane!). 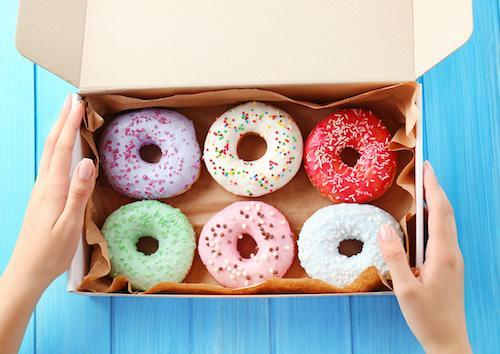 Donut time has worked for us as a natural extension of our values and enables open and honest communication so that all employees feel appreciated and involved. So, how did donuts make me love my job even more? From the moment I started at Reward Gateway, I’ve felt included. Not only am I able to connect with those around me in the office, but also globally through Donut Time. I’ve had the pleasure of “baking relationships” with numerous friendly faces – from Product Manager to Internal Communications Manager to Group SVP of Marketing to Global Head of Engagement. One conversation in particular that stuck out for me was when I was chatting with Debra Corey, RG’s Global Head of Engagement. Even though she’s located in London and I’m in Boston, we were able to find the time to get to know each other. As we were telling our stories of how we got to be where we are now, we discovered we both studied communications and psychology. Donut Time allowed us to introduce ourselves sooner rather than later, establish a connection and expand our networks. In all of these conversations, I’ve walked away with a deeper understanding of a person, a project, a concept or a team, and am able to apply those takeaways to my own role. My last piece of advice to you: Donut stop believing! Let’s remember to not take ourselves so seriously and have some fun. Continuously try out new programs at your organisation because you never know what might stick and improve your employees’ experience. Whatever your next flavour, I’m sure it’ll be a sweet experience for your people. I hope to see your ideas on our comments or social media soon!